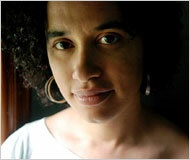 Shannon Gibney was adopted as an infant in 1975, and grew up in a multiracial family. From her bio: “When she was 15, her father gave her James Baldwin’s Tell Me How Long the Train’s Been Gone, a book that changed her life and made her see the possibilities of the written word. The novel took a long, difficult look at relations between Blacks and Whites, the poor and the rich, gay and straight people, and fused searing honesty with metaphorical beauty. After this experience, Shannon knew that she needed to read everything Baldwin had ever written, and also that she wanted to emulate his strategy of telling the most dangerous, and therefore liberating kind of truth, through writing.” Gibney’s debut YA novel, SEE NO COLOR, was called “an exceptionally accomplished debut” by Kirkus, and School Library Journal points out that “without lecturing readers, Gibney clearly elucidates many issues particular to transracial adoption and biracial identity while also making this a universal story about the need for acceptance.” We are proud to welcome Shannon Gibney to The Brown Bookshelf today. As long as I can remember, I have wanted to be a writer. I think this is because I have also been an avid reader as long as I can remember. The imagination – mine and that of other writers – has consistently been a refuge and a beacon for me throughout my life, providing a space for me to engage people and questions that would otherwise be absent: How do you protect your children under the tyranny of slavery (Toni Morrison’s Beloved)? What does it mean to survive a civil war (Chimamanda Ngozi Adichie’s Half of a Yellow Sun)? And who do you turn to if, as a teenager, you are sent to a country you have not lived in since you were a child (the conundrum the protagonist in my new YA novel must confront)? I started “writing books” when I was in the second grade – pieces of construction paper or cardboard with lined paper inside, in which sibling sleuths solved crimes, or went camping, or visited other worlds. Though the books with my name on them today may look a little different than these early, rather crude objects, their essence remains the same: They are a series of questions I am asking about whatever might be most important to me at the time, and asking the reader to co-create meaning in this endeavor, and perhaps to even attempt to answer them. My journey to publication was circuitous at best. I tried not to get frustrated by not focusing so much on the publication of a book per se, and more on keeping up my writing habit and developing my craft. I write across genre, and also have multiple projects going at once, so that was where I tried to put my energy when an agent dropped me, a small publishing house folded, or I received yet another rejection. You go back to the reason why you started writing in the first place, and if you are honest, it is not because you were trying to get published. But a few years ago, Betty Tisel and Swati Avasthi introduced me to Andrew Karre, an exceptional editor who was at that time heading up Lerner’s Carolrhoda Lab imprint (he has since moved to Penguin). He was actively looking for strong manuscripts from writers of color, so I sent him my draft, he loved it, and I signed on. It was so magical to work with someone who gets what you’re trying to do, and at the same time has a real affinity for your work. 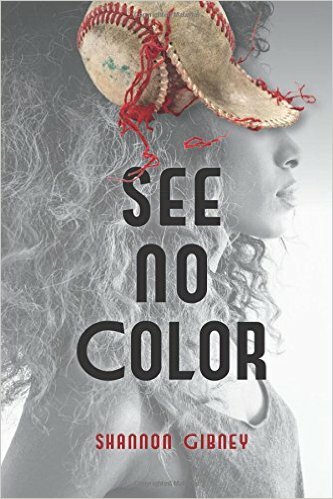 I felt like my YA novel See No Color got so much stronger: tighter and more layered. Since it has been out in the world, it has been wonderful to engage with folks around it. The book is about a mixed black transracial adoptee searching out her identity, so a lot of adoptees have really responded to seeing themselves represented on the page in a complex, nuanced way. Not to mention family members, friends, and community who can see the power in representation. So that has been particularly moving for me. As a person who exists at the intersection of identities, I find myself drawn to those who occupy similar spaces. So, a lot of my work explores the journeys of folks whose lives involve constant negotiation: racially, culturally, or otherwise. In this way, my own experiences are reflected in my work, but the experiences of those I’m close to also find their way in. Of course, writing from the African diaspora, and the African American canon in particular have been a constant source of inspiration for me. It’s hard to pick just one, but James Baldwin has been my favorite writer since I was 16, with Toni Morrison coming in a close second. Other folks who remain important to me include Paule Marshall, Edouard Glissant, Aime Cesaire, bell hooks, Audre Lorde, Claudia Rankine, Sadiya Hartman, Richard Wright, Octavia Butler, Ralph Ellison, Walter Mosley, and many, many others. It’s so gratifying to know that you are just another link in a long, long chain – however small, however nondescript, however strong. That is the Black literary tradition. Excellent introduction to this author. I’ll look out for it during my weekly visits to the bookstore. This is an excellent book, and I’m hopeful to see more from the author!